"Nokia Pro Cam" is a lens application for Nokia Lumia Windows Phone 8 Amber with PureView Camera (Nokia Lumia 1020, 928, 925, 920). "Nokia Pro Cam" is one of the best lens application made by Nokia and exclusive for selected Nokia Lumia with Window Phone 8 devices. 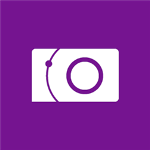 This application offers some features and settings that can helps you to capture best photos like a pro photographer. You can capture long exposure photos, capture bokeh photos with manual focus features, adjust ISO Setting up to 3200, Adjust shutter speed, white balance, etc to capture best photos in all conditions. The best one is re-frame features (the best experiences on Nokia Lumia 1020). View our Hands-On & demo videos of "Nokia Pro Cam" lens App here, and watch some tutorial videos below to be a pro photographer with "Nokia Pro Cam "lens app for okia Lumia Windows Phone 8 Amber with PureView Camera (Nokia Lumia 1020, 928, 925, 920).